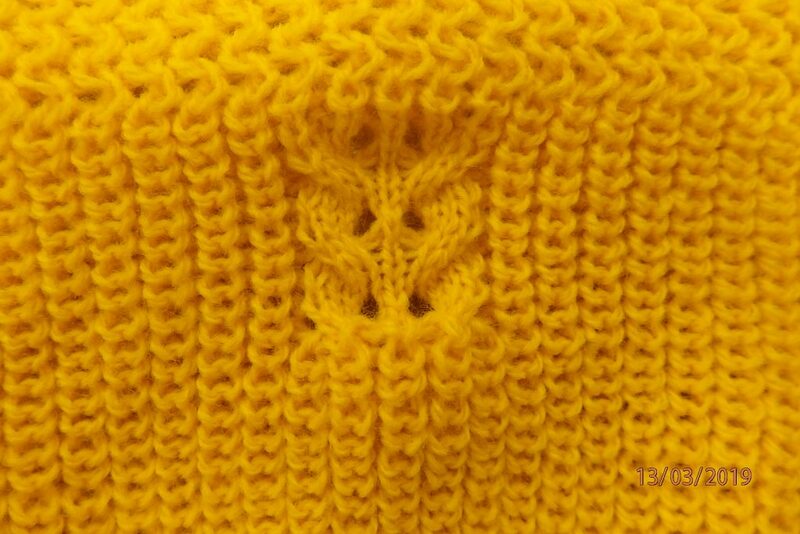 This was another club meeting – we had a demonstration on Fisherman’s rib by Frances our expert on Brother machines, she added a nice embellishment – a small piece of cabling. This was a very interesting talk she showed us how to set up the carriages and what weights to use along with advice on sewing machine settings for cut and sew garments. We also had a sale of yarn, kindly Gillian’s daughters have give us he stash to sell, with proceeds to her favourite Charity at St Georges hospital. There will be more yarn and books next month too. 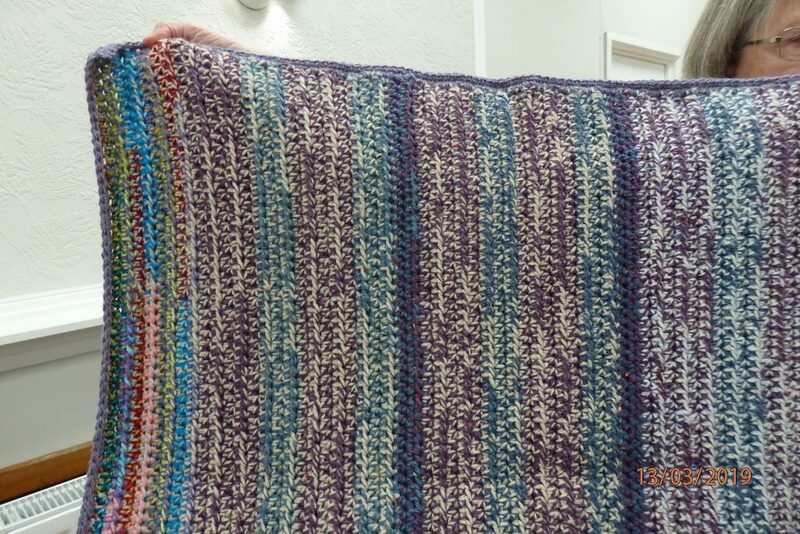 Finally a show and tell – Angie had crocheted a huge blanket using many ends of yarn on a large hook. 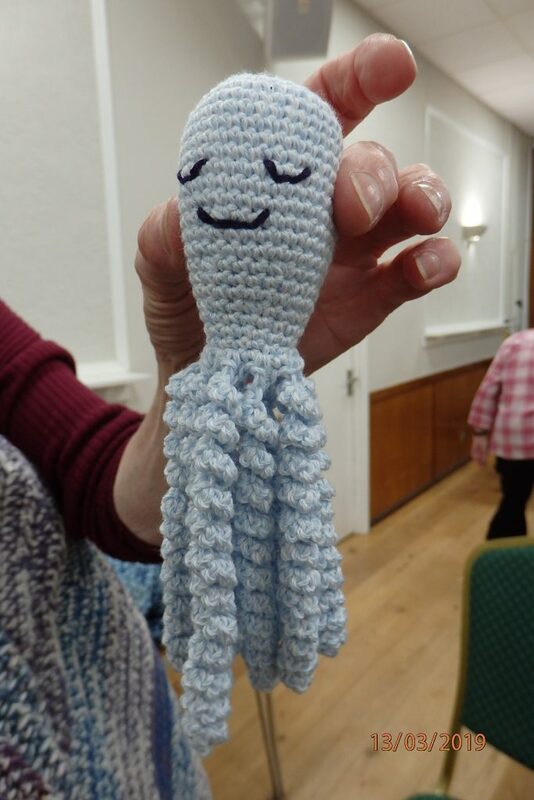 We also had an octopus destined for a premature baby unit. 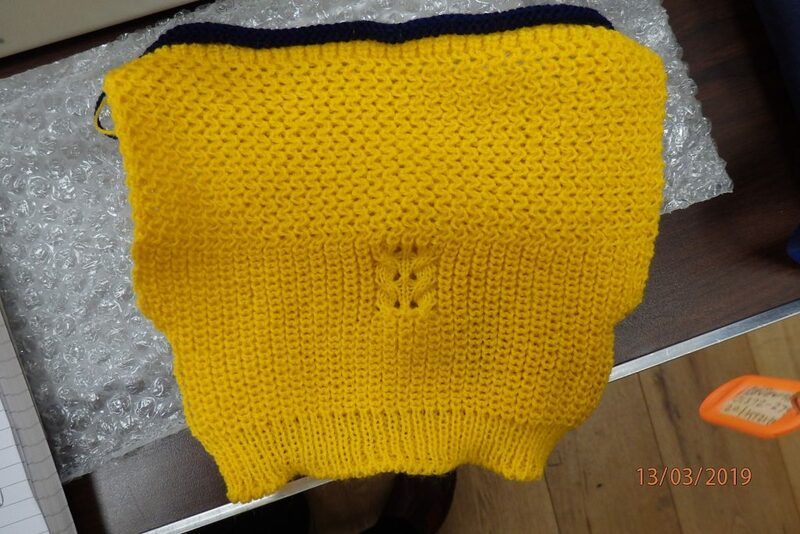 It was very fiddly to make apparently.